They’ll compete in Overwatch Contenders North America in March. Ahead of the Overwatch Contenders start in March, another Overwatch League organization has revealed its academy roster. Florida Mayhem has signed six Overwatch players to its Contenders roster. The roster consists of former Cloud9 EU DPS Michael “MikeyA” Adams, Arc 6 DPS Derek “zza” Johnson, Cloud9 EU flex player Carl “crems” Asepheult, tank player Jeromy “Moop3y” Lensky, and support players Marshall Mohr and Nolan “Paintbrush” Edwards. The roster has yet to see any meaningful results—they’ve just recently been put together, after all—and Contenders will be their first big outing together in Overwatch. A few of the players lack the mainstream tournament experience, but they’ll be able to look to veteran players like MikeyA, zza, and crems for guidance there. Florida Mayhem’s Overwatch League roster has struggled in the tournament’s first stage, but is hoping to make a resurgence after adding a few new players to the roster. Florida started the Overwatch League season with a simple, six-man roster, which lacked the flexibility needed to succeed. Now with three additional players—DPS Ha “Sayaplayer” Jung Woo, tank player Kim “aWesomeGuy” Sung Hoon, and flex tank Joonas “zappis” Alakurtti—the team is looking to move up the rankings. 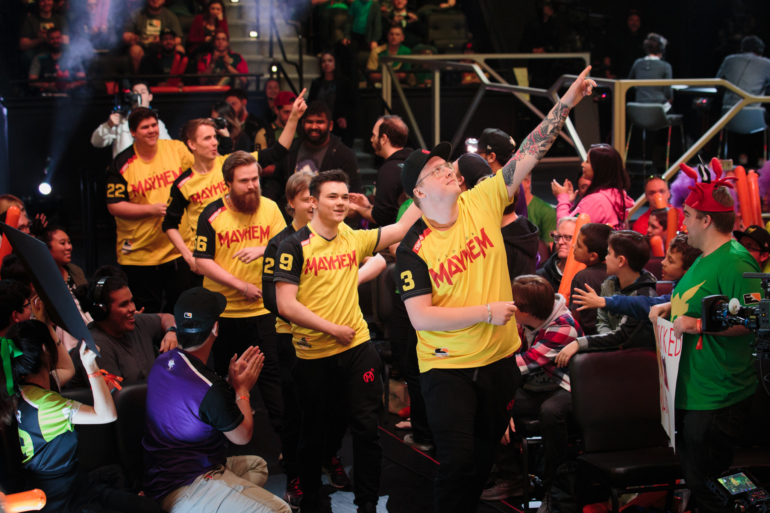 Mayhem Academy will take on the Los Angeles Gladiators’ Overwatch Contenders roster on March 11 at 11pm ET.